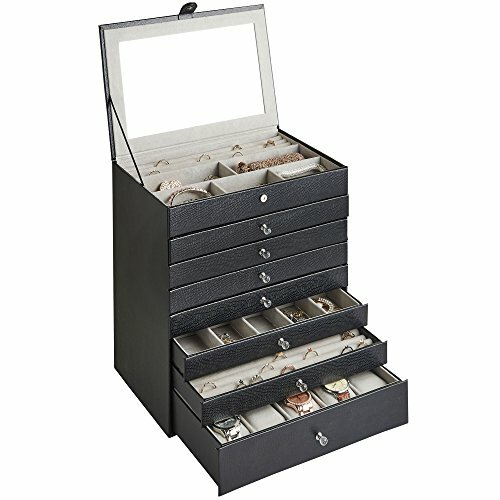 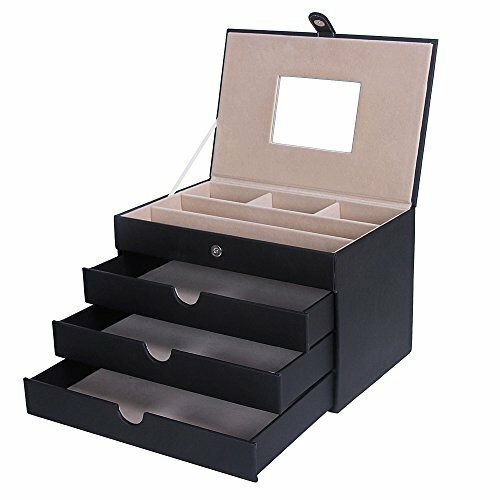 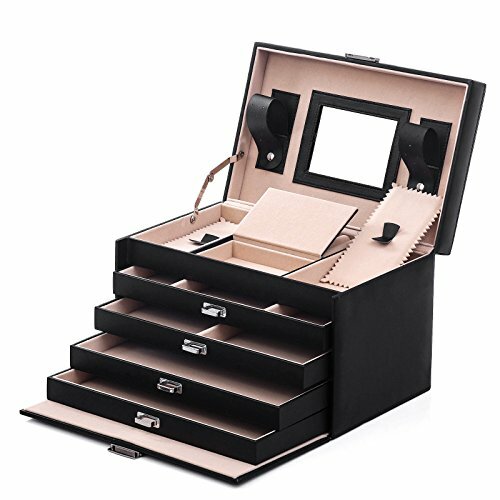 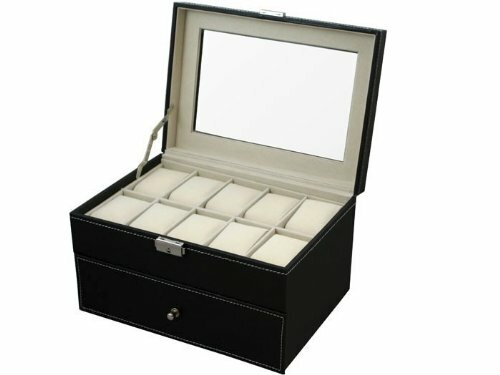 Jewelry boxes can come in a very wide range of sizes and designs, but some of the most appealing ones we’ve found up until now are mirrored jewelry boxes. 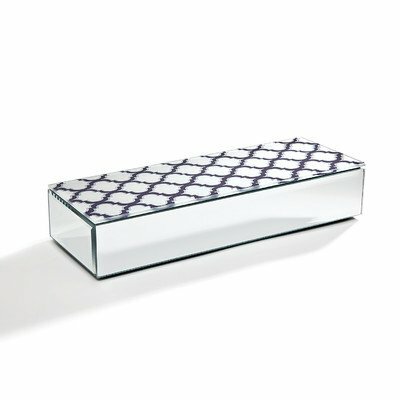 They are absolutely stunning, visually, and are perfect to use both in your home and / or store. 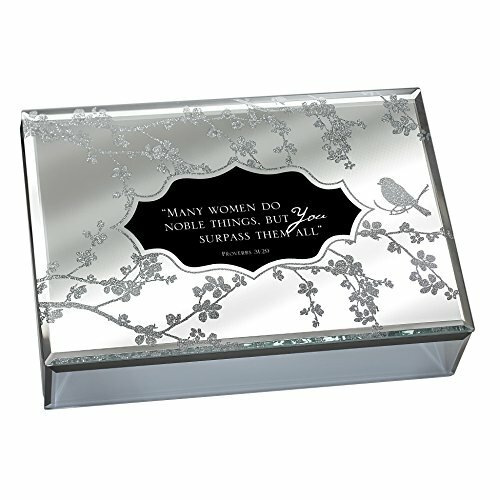 They have a charming and unique design that go well in any room, reflecting its surrounding elements and colors. 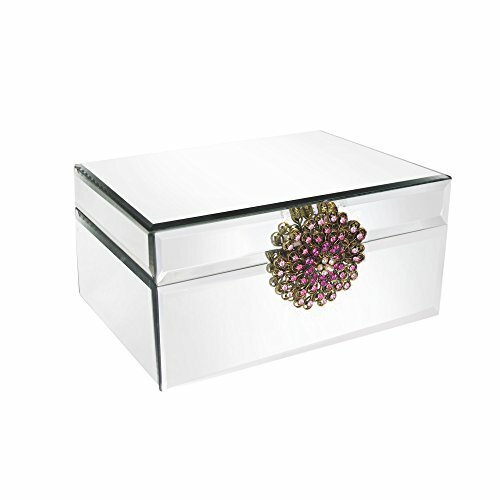 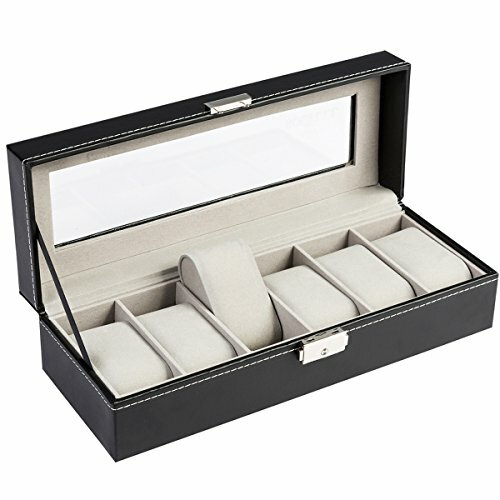 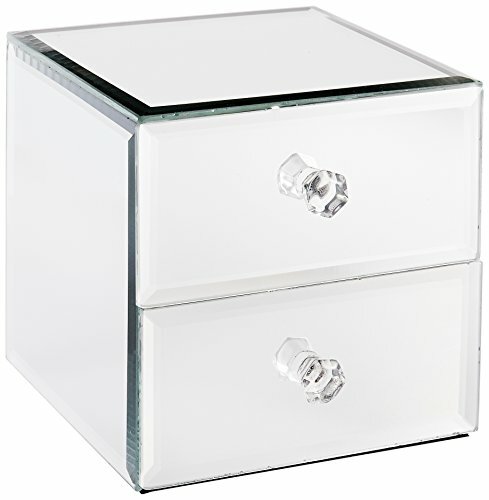 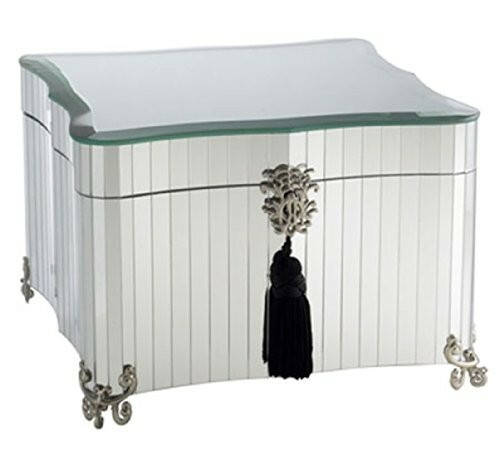 Mirrored jewelry boxes can be small square or rectangular boxes with a single compartment and with one or two drawers. 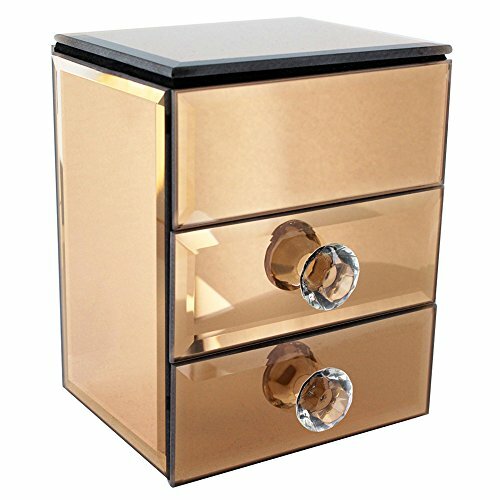 They can also come in the form of chests or armoires. 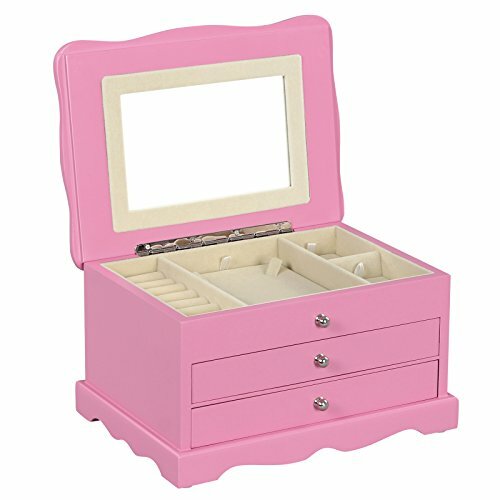 In what the mirror is concerned, there are two types of construction. 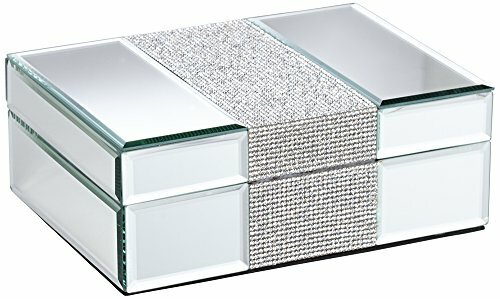 One is that the box is made from glass mirror or have a full length mirror. 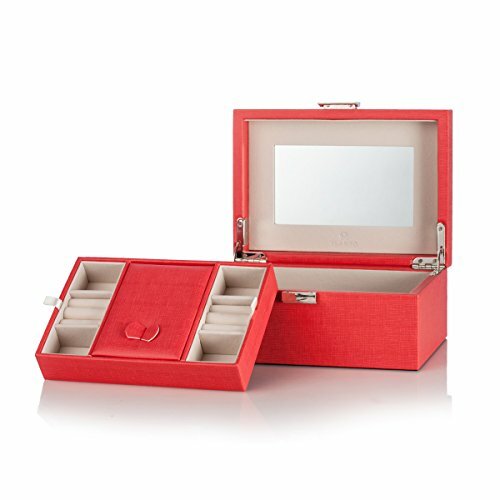 The second kind is made from wood that has a mirrored finish, but reflections are not as clear as in the first case. 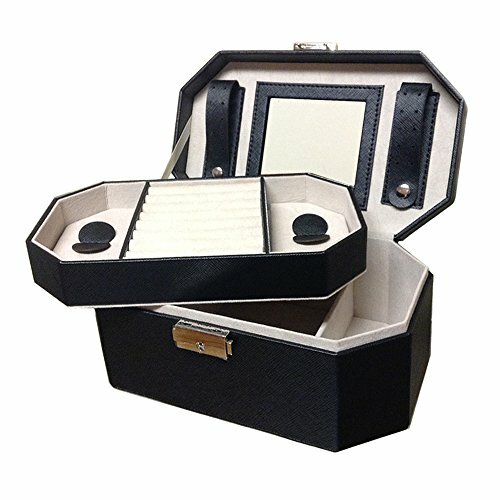 These boxes are the ideal solution for store and home presentations, even for trade shows expo’s and exhibitions. 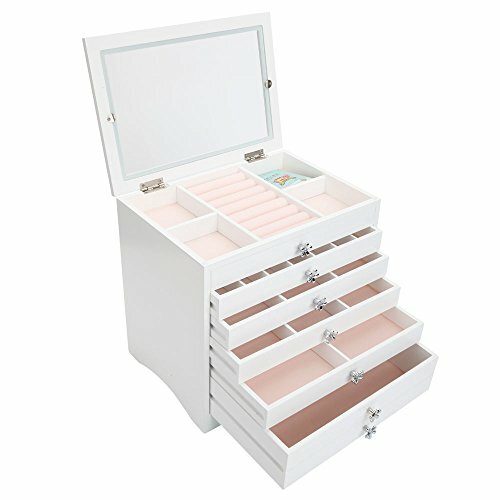 They are also very easy to clean and maintain. 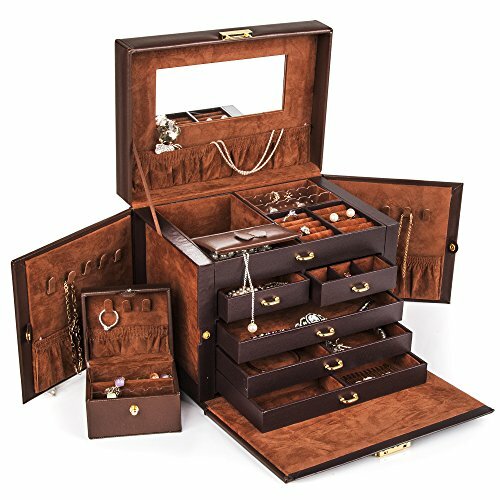 Some come with very useful options such as light or locks to put jewelry under safe keeping, while others serve a purely visual purpose, adding finesse and a touch of elegance to any room. 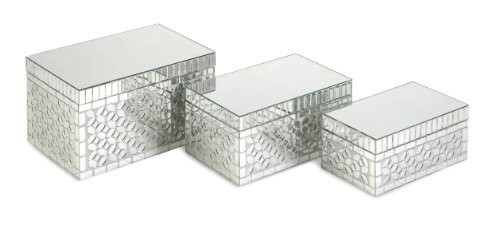 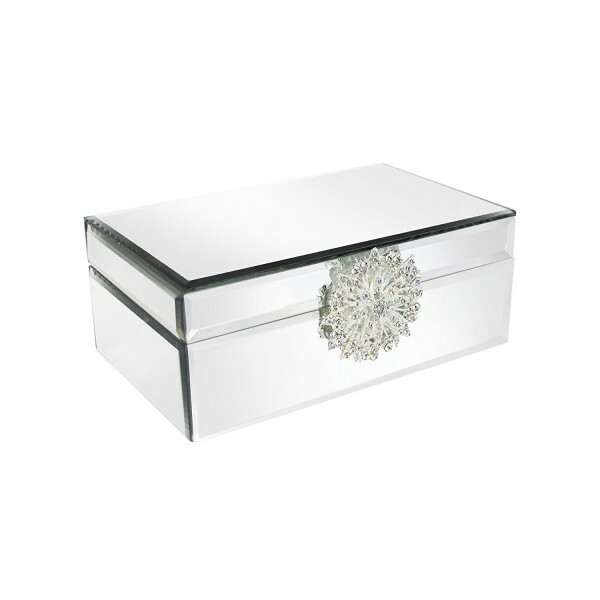 Browse our beautiful selection of mirrored jewelry boxes and find the one to suit your jewelry display and storing needs.